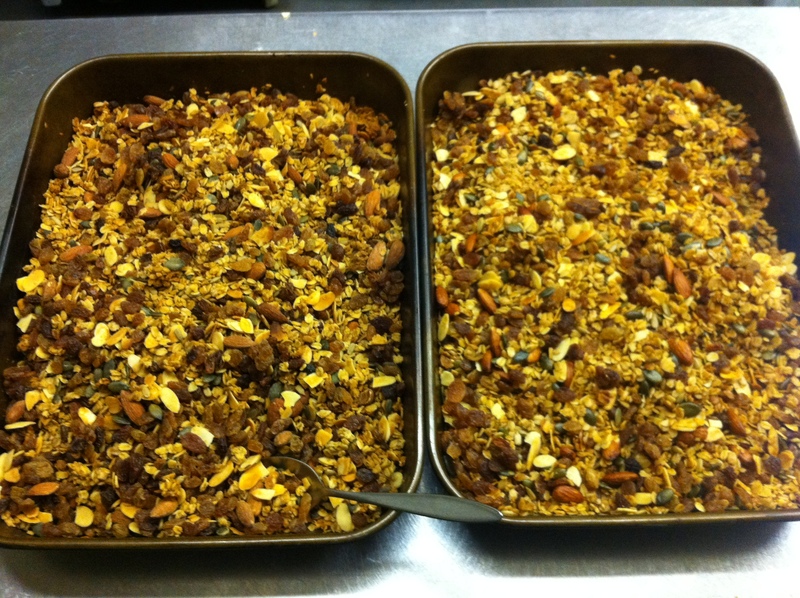 Not only is this granola delicious but making it is effortless and it fills the house with the most divine smell. I use this as a base recipe but amend it depending on what odds and sods are knocking around the baking box. So feel free to substitute flaked almonds for whole ones or hemp seeds for sesame seeds. It’s always worth having a look in Julian Graves to see what’s available in large size bags as the small supermarket 100g bags work out to be very expensive. 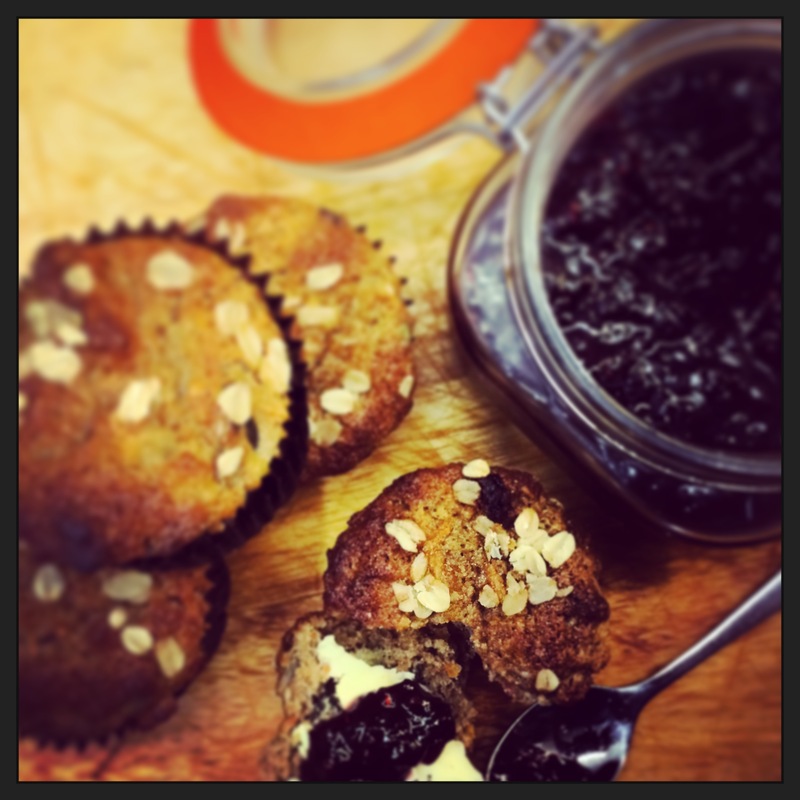 The only rule to remember is not to add your dried fruit until the end. Otherwise you’ll be picking little charred, bitter raisins out of the mix for days. In a bowl mix together the oats, nuts and seeds until evenly distributed. Put the oil, apple juice, sugar, honey, salt and cinnamon into a saucepan and heat until the sugar has dissolved. Pout the liquid into the dry ingredients and mix well. After an hour take the tray out, stir, turn the oven down to Gas Mark1/140*C for a further 1 hour. Turn the oven off & leave to cool in the oven overnight. When the granola is cool and ready to eat stir through the dried fruit. Delicious served with milk or as a topping to yoghurt & compot. Right now, with so little fruit in season, I’m starting the day with an apple, sultana & cinnamon compot with a generous dollop of Greek yoghurt, a sprinkling of granola and a drizzle of honey. It looks so gorgeous & natural I can almost pretend to my self I’ve made a healthy choice.